The mortgage-holder must be in arrears and insolvent to qualify. FREE FINANCIAL AND legal advice is now available for people who are at risk of losing their homes. 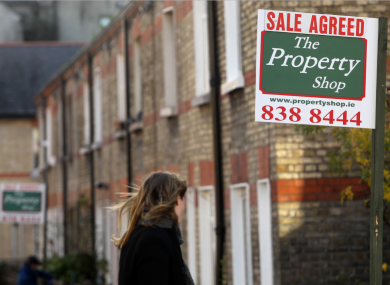 Some 35,000 homeowners are currently in arrears over two years. The service is being put in place for three years and is expected to cost up to €15 million. The mortgage arrears resolution service, Abhaile, was launched today by the Tánaiste Frances Fitzgerald and the Minister for Social Protection, Leo Varadkar. It’s hoped the service will allow more people to find a permanent solution and that it will offer help without delay. Angela Black, Chief Executive of the Citizens Information Board (CIB) welcomed the service saying it will bring “much needed hope and support to stressed borrowers who are at risk of losing their homes”. All applications for the aid will go through the Money Advice and Budgeting Service (MABS). An extra 26 dedicated mortgage arrears (DMA) advisors will provide people with the free voucher for the professional service they need. The voucher scheme has been in place since July and 1,340 borrowers have been helped so far. The scheme provides five different fixed packages of professional financial or legal advice. These are the PIP Service, the Accountant Service, the Consultation Solicitor Service, the Duty Solicitor Service and the Personal Insolvency Court Review Service. MABS can refer a borrower to one or more of these services, depending on their needs. Email “Free financial and legal aid now available for people at risk of losing their homes ”. Feedback on “Free financial and legal aid now available for people at risk of losing their homes ”.